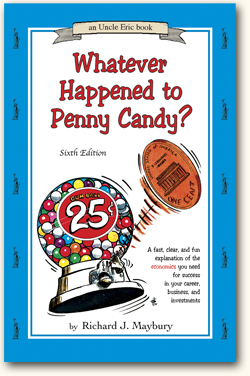 This small book about economics is a remarkably easy and fun explanation of investment cycles, velocity, business cycles, recessions, inflation, money demand and more. This updated and expanded sixth edition contains "Beyond the Basics." This supplements the basic ideas in the book and is included for readers who choose to tackle more challenging concepts. Recommended by former U.S. Treasury Secretary, William Simon. Fascinating and revealing, with facts you can't be without; an essential for every investor, and a fine gift, too.